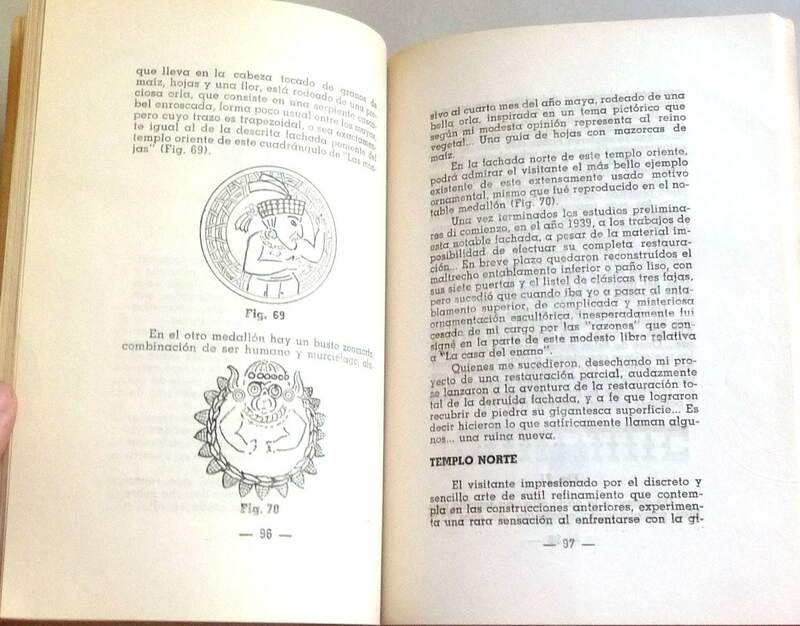 Description: Book has age toning, heavy along spine and top edges of wraps. Small 5 mm split at upper front spine edge. A couple small spots. Pages are free of marks. Binding is sound. 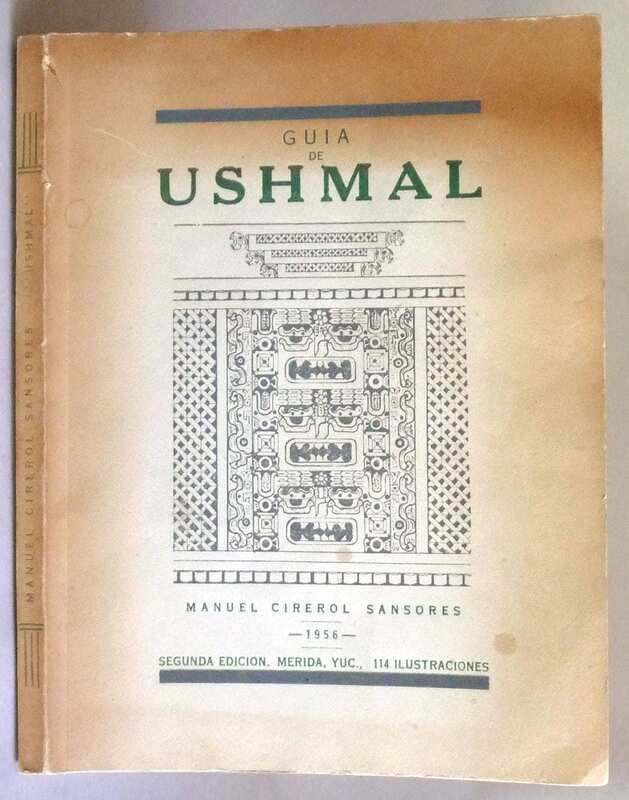 Second edition, 1956. Spanish Language. 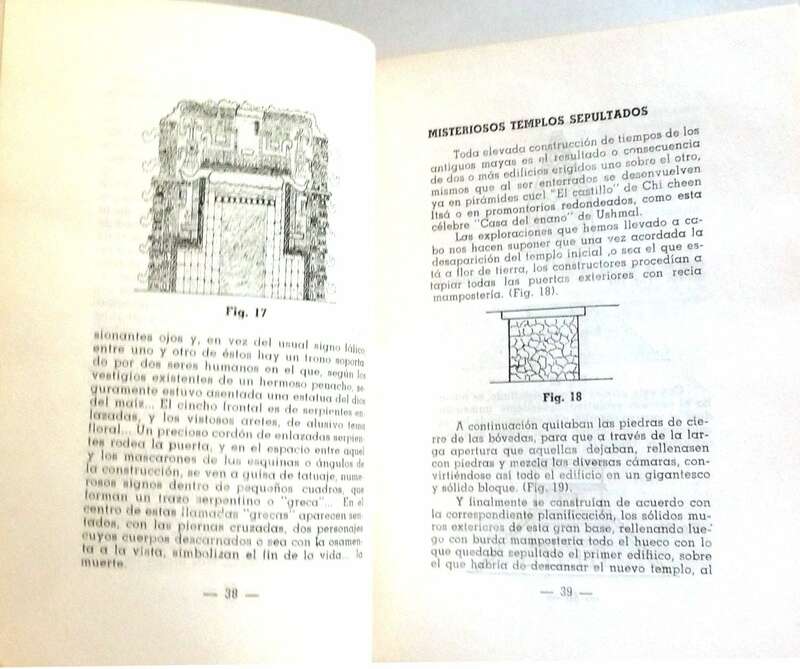 Guide to the Yucatcan Mayan site, Uxmal, with 114 illustrations. Size: 6.75 x 8.75 inches.